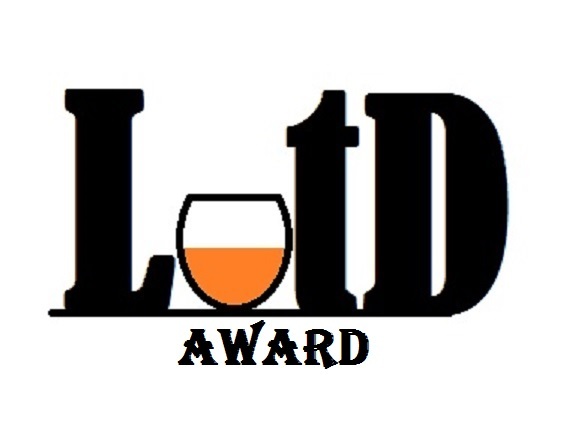 Best beer blog: 1st place @BryanDRoth, 2nd place @BeerHereWriter, 3rd place @beerbabe & honorable mention @Brookston. Congrats! There are always other things to do. We have jobs and friends and responsibilities of life. But even then, there is always something else pulling us toward the multitudes of interests and passions we hold close. How we divide our time, through internal formulas working to extrapolate wants and needs, equates to each of our unique personalities. If we pursue our goals both professional and personal, then the sum of our efforts shape who we are. In recent years, I’ve sought to balance the many fractions of my life with help of this blog, and increasingly, work with the talented editorial teams at All About Beer, Beer Advocate and Good Beer Hunting. I’ve achieved so much because of the opportunities presented to me through research and relationships built off This is Why I’m Drunk. It has helped me only further grow my passion for beer, its industry and its culture. But, the truth is you’re as much to thank for pushing me as my own internal drive. Sharing an education in beer comes in all sorts of ways. This past weekend, the North American Guild of Beer Writers announced I had finished first in the category of “Best Beer Blog” at its annual awards ceremony. I’m thrilled to share this recognition with Robin Shepard, second for work at Isthmus.com, Carla Jean Lauter, third for The Beer Babe, and Jay Brooks, who received an honorable mention for Brookston Beer Bulletin. I’m so happy to be included with them for the same award. But most of all, I’m excited to share this with you. Whether you’re an everyday reader sorting through the archives, a commenter who has shared in conversation or simply stopping by for the first time, I’ve been lucky to find my voice and learn new things because of interactions with people like you. There will always be something else trying to gain my attention – often deservedly so – but I love using this space as a way to grow with you through a greater appreciation for all things beer. Please know, Dear Reader, that I’m forever appreciative of how you influence me. I strive to think creatively and provide my love of beer in a unique way, and it means so much that I get to share that with you. There are lots of shiny objects floating around all of us, reflecting constant reminders of where we should focus our attention. Thanks for letting me distract you. Congratulations, Bryan! A well-deserved honour. Congrats! Fantastic news and well-deserved! You can tell in your writing that you work so hard for this, Bryan, but it’s also evident that you enjoy it. Congratulations. Hard work recognized! It’s important to me that my enjoyment comes through, so I’m glad it appeals to you and others! Thanks for your support! Well deserved recognition for a truly unique, data driven, and thought provoking blog. Next I went to GABF with a Plan. I Found This Story Instead.